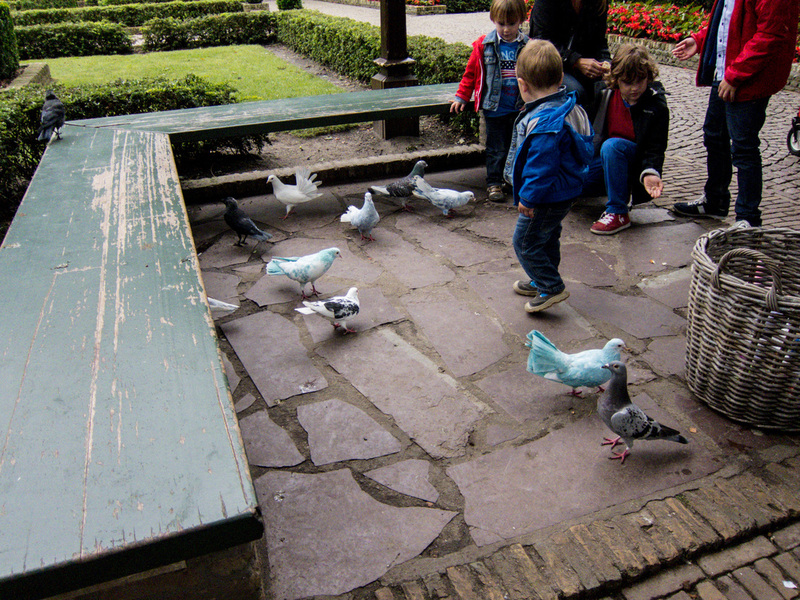 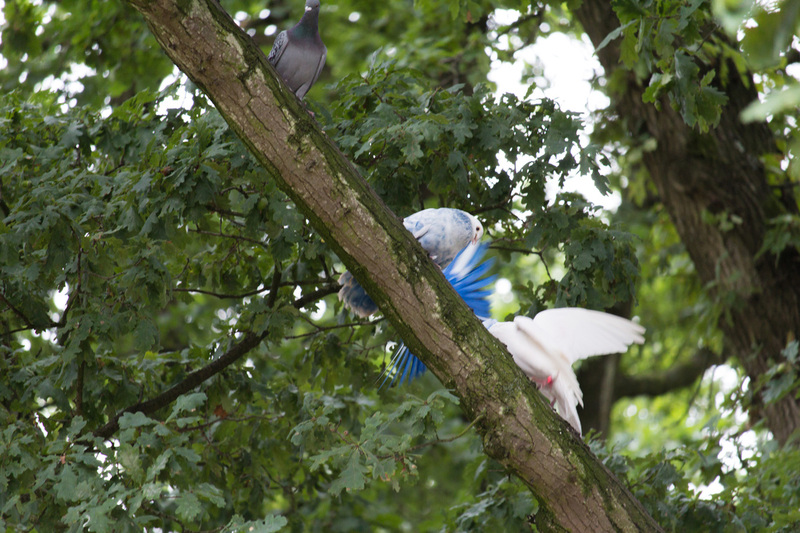 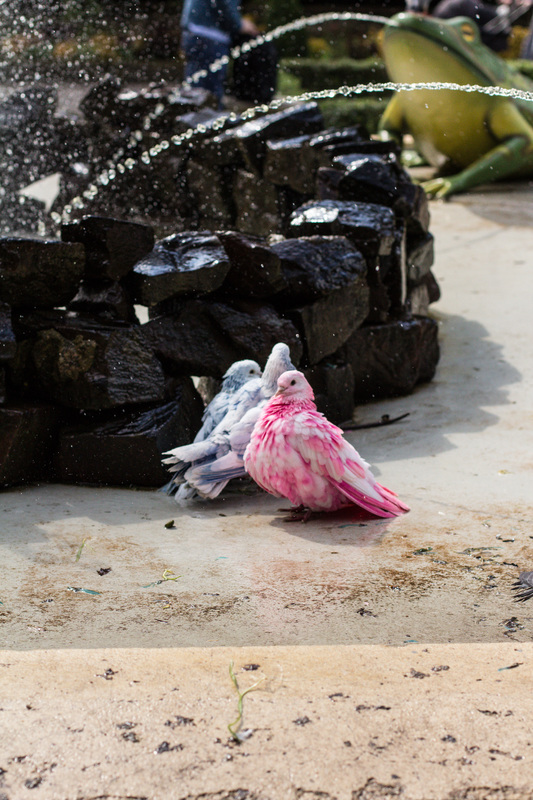 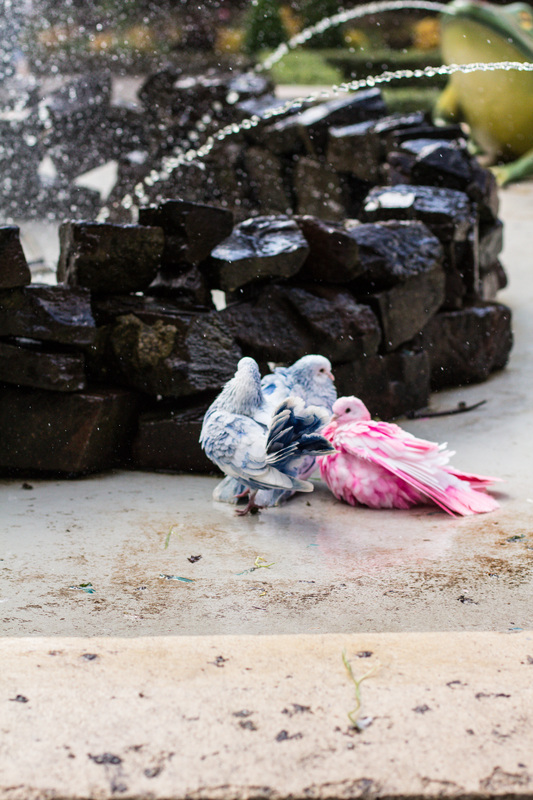 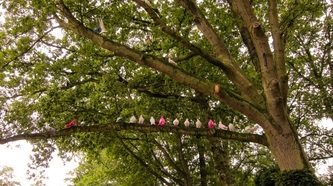 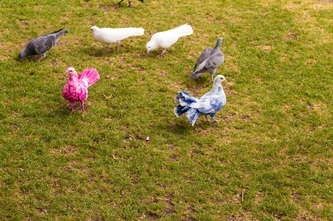 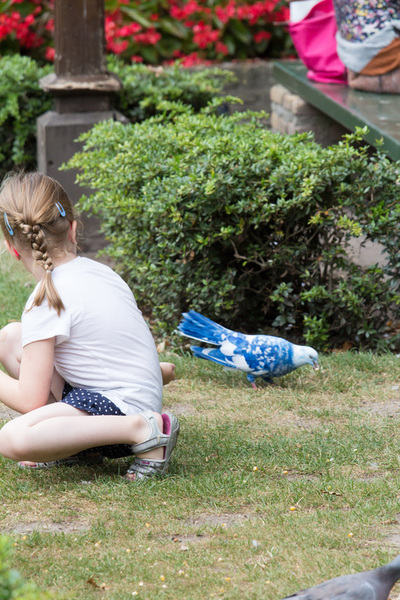 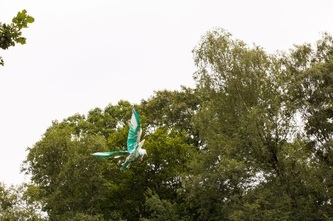 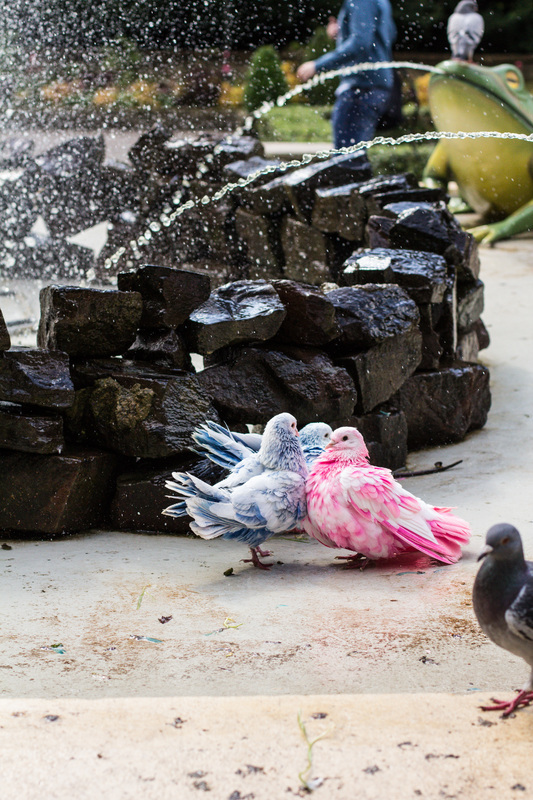 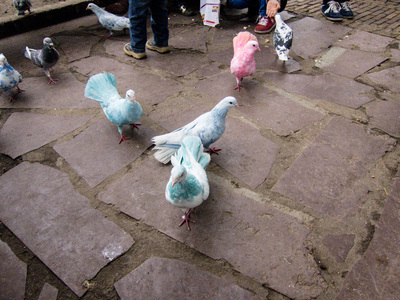 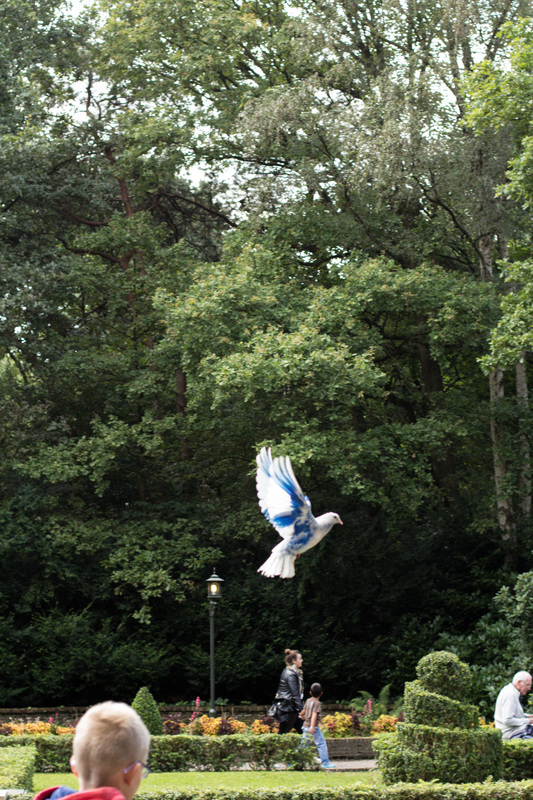 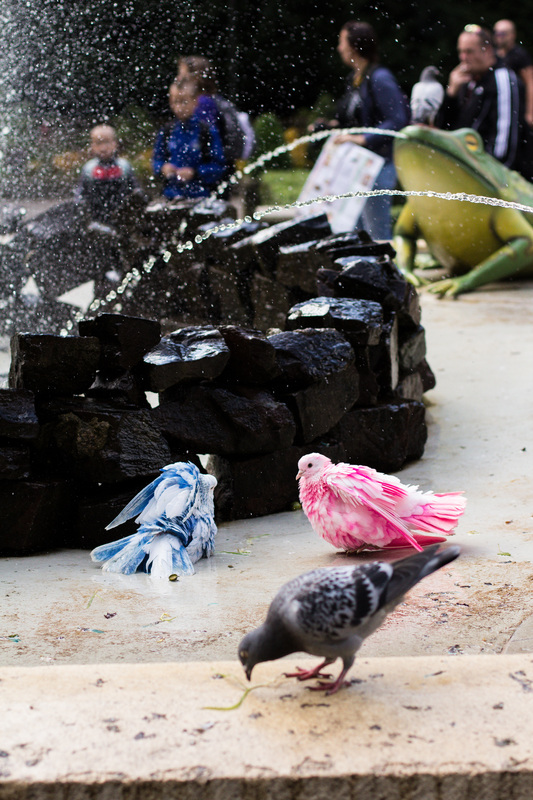 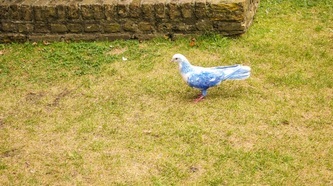 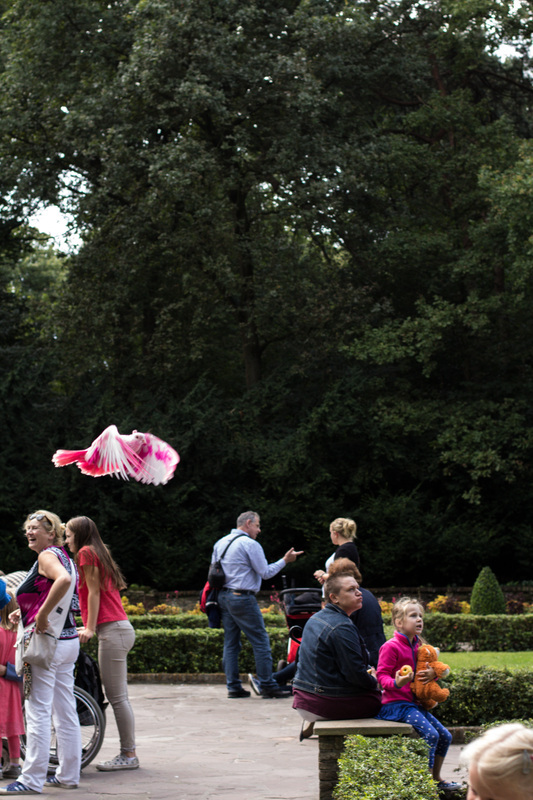 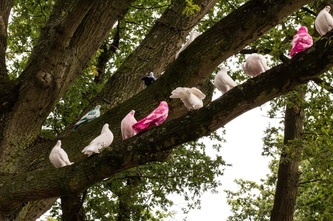 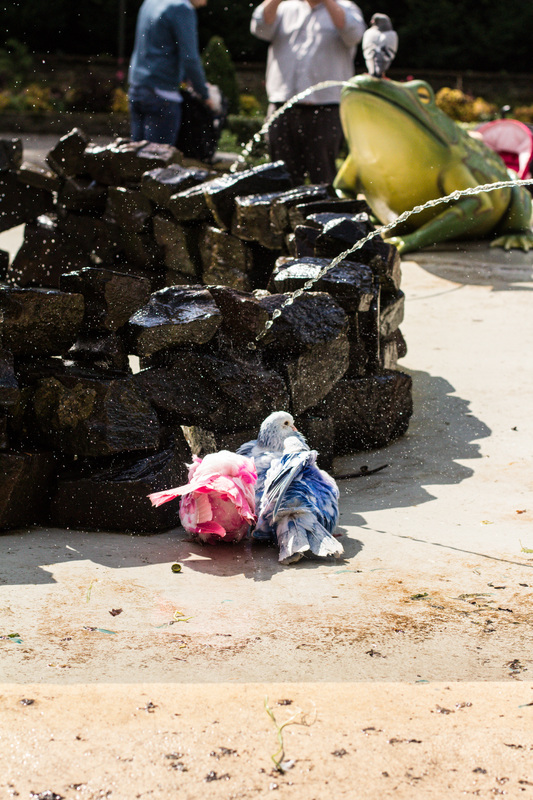 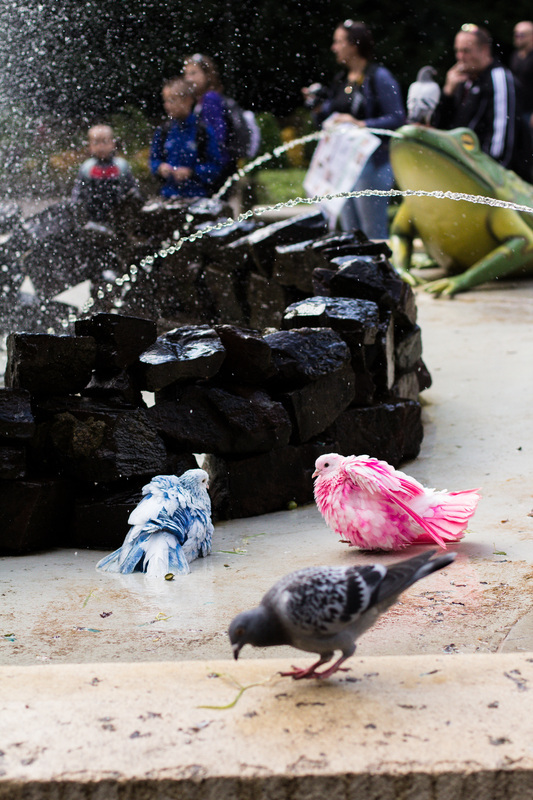 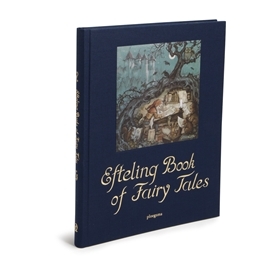 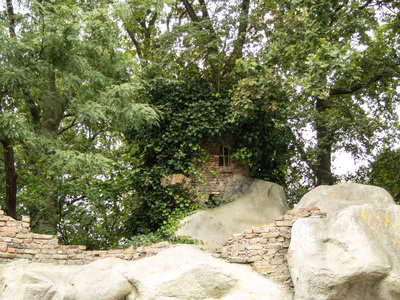 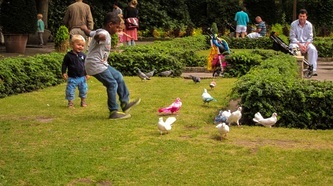 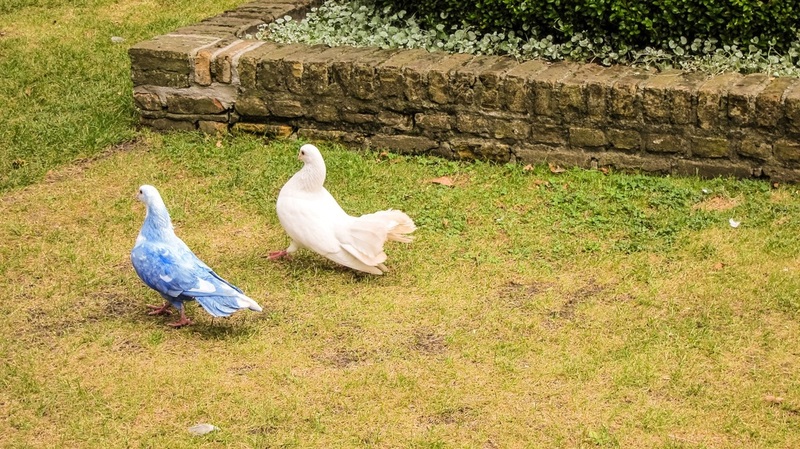 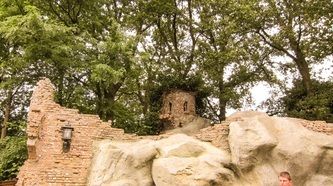 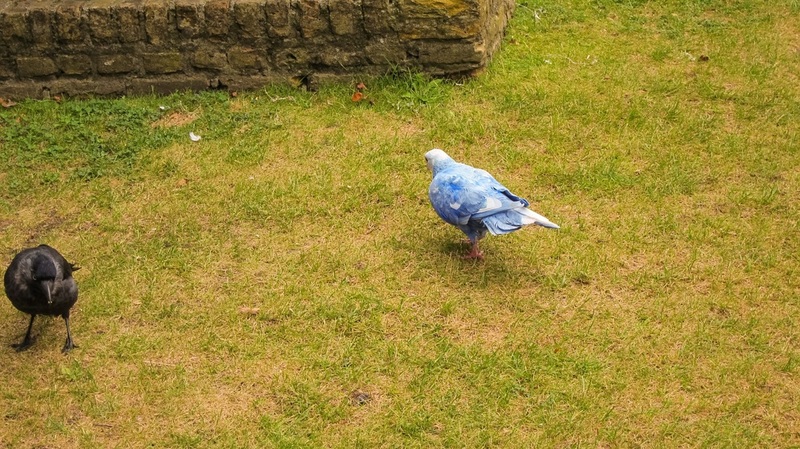 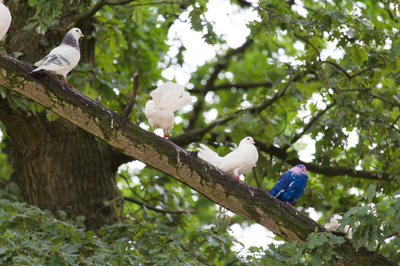 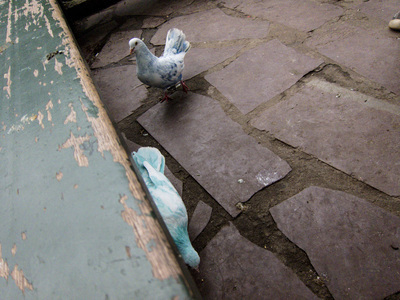 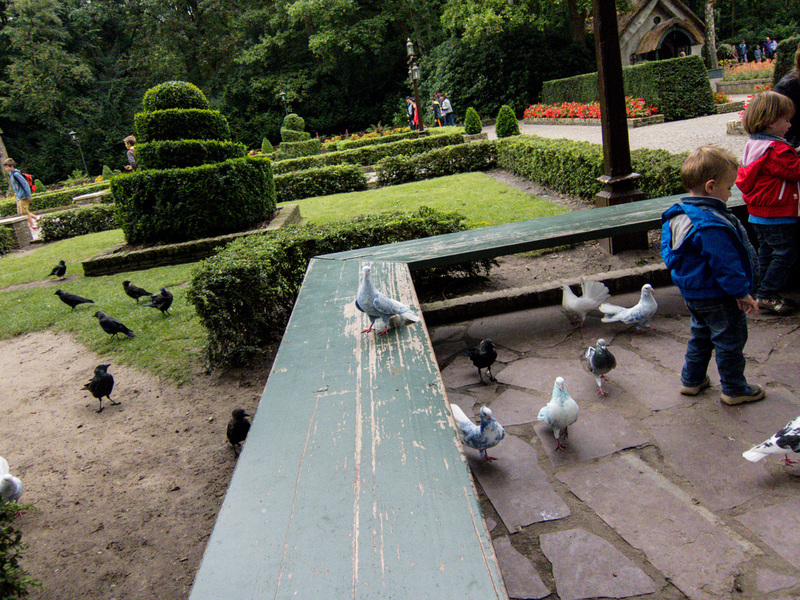 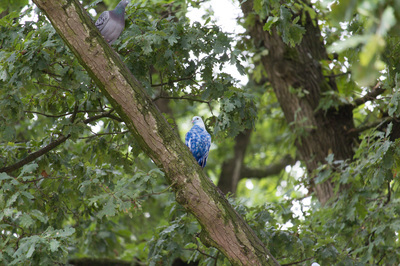 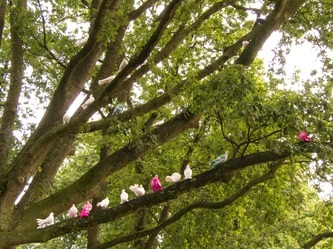 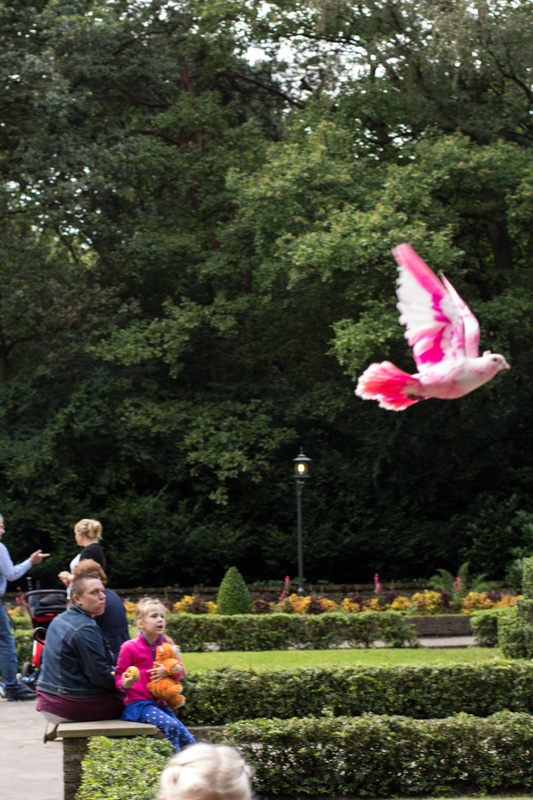 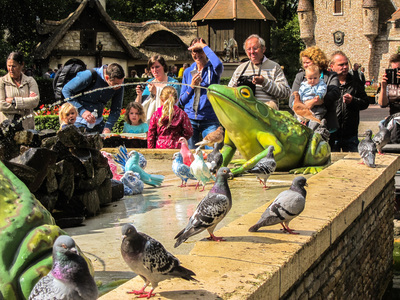 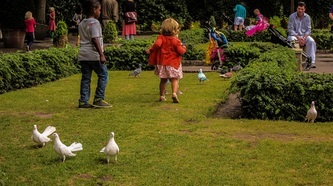 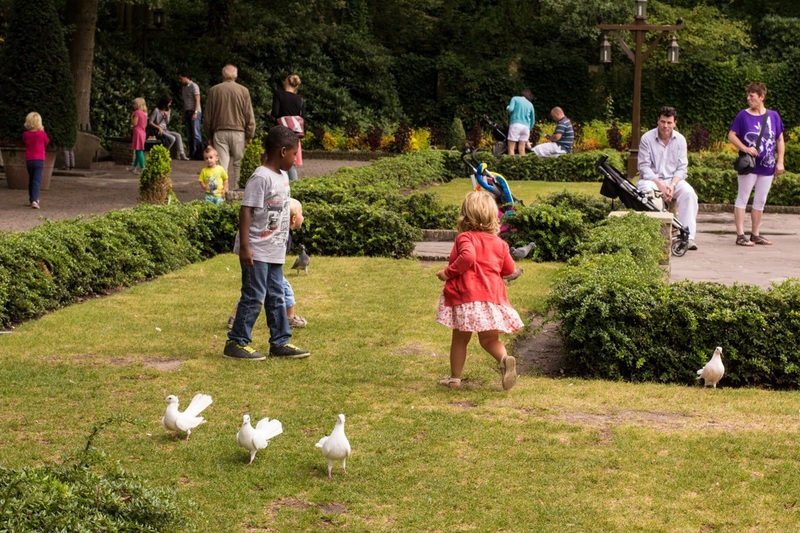 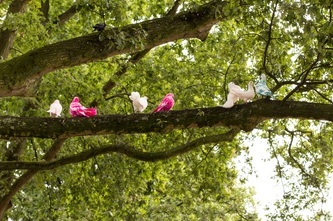 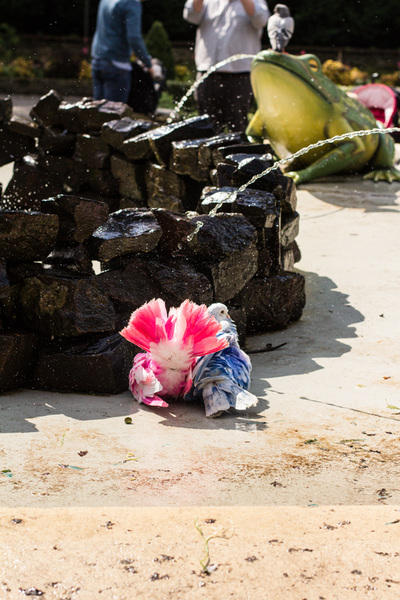 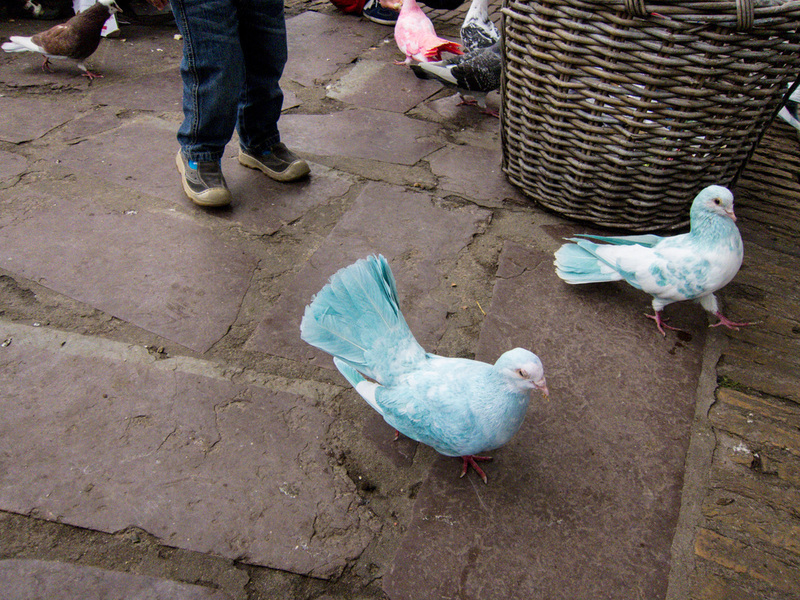 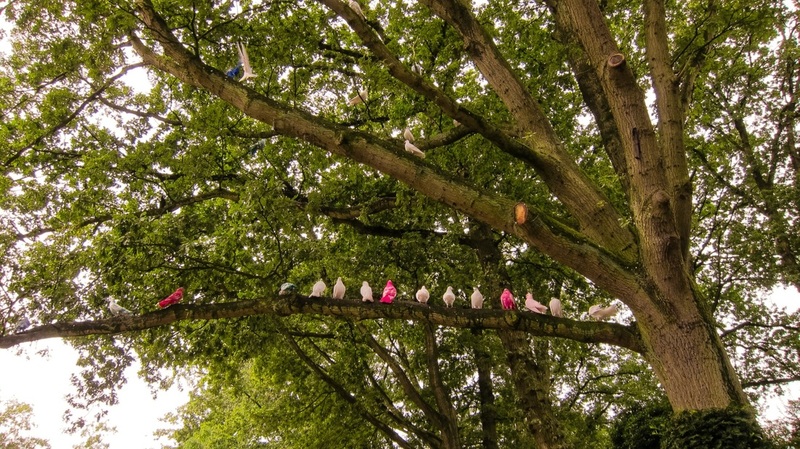 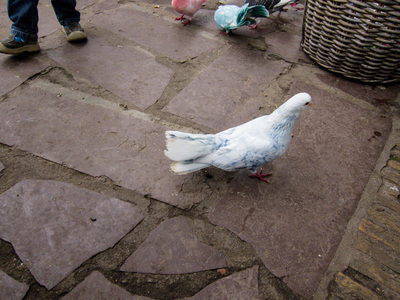 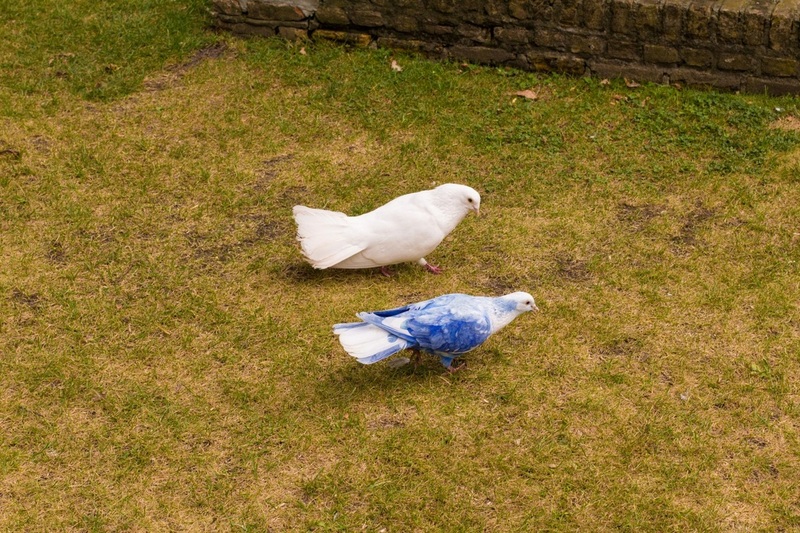 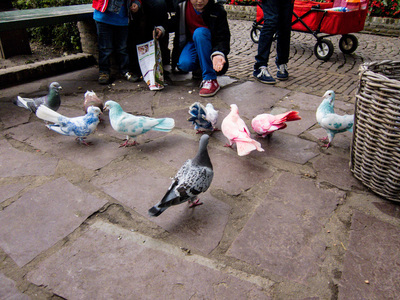 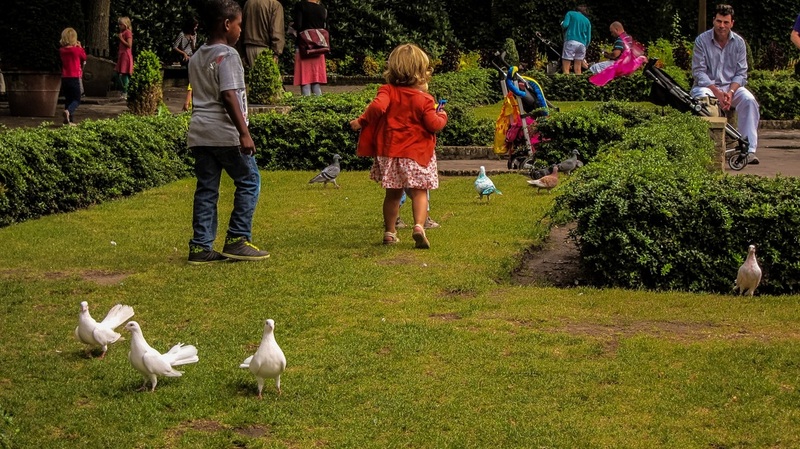 ​The Efteling used to have colored doves roaming the fairy tale forest. 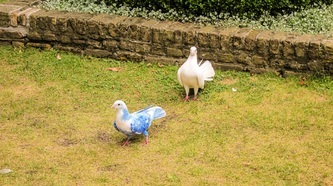 These were representative of the fairy tale 'Guineveres Bridal Gown. Currently however the doves are simply white. 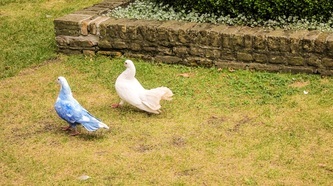 Prince Arthur was going to marry the beautiful princess Guinevere and plans were underway. Prince Arthur knew of a weaver who lived in the realm and she alone would be able to make Guinevere’s gown. 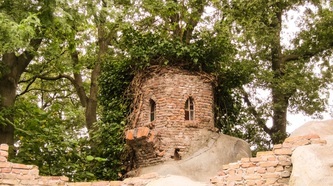 But the old weaver had gone blind. “I’m afraid I cannot be of much help dear prince. 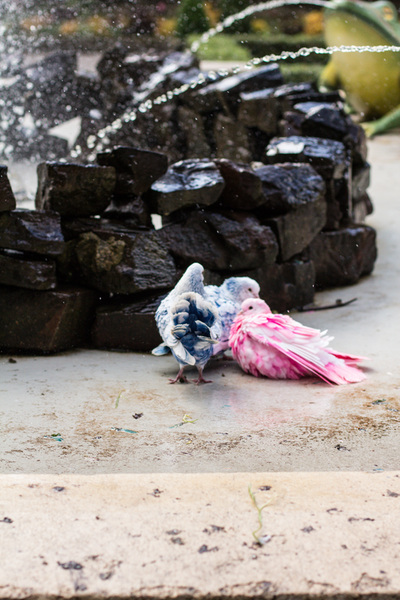 My hands could do the work, but I cannot see the colours to weave with,” she told him. 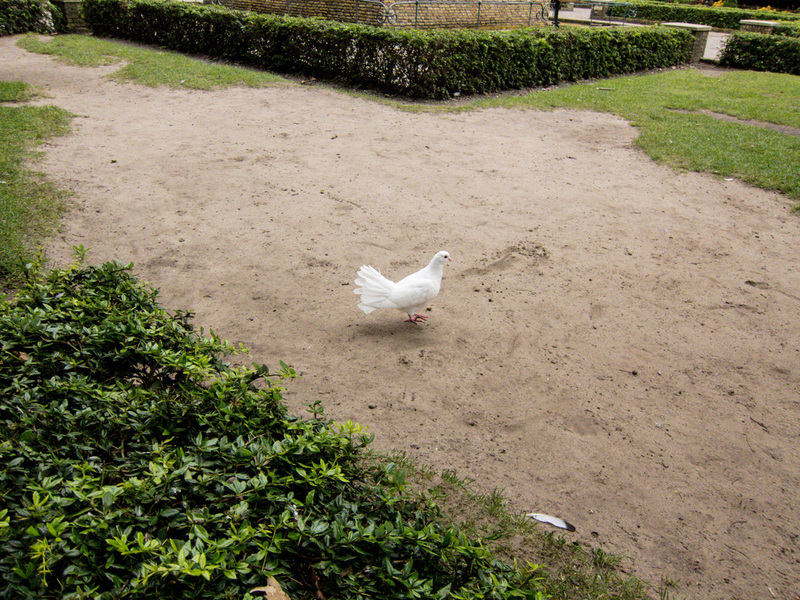 The prince was upset and returned to the palace. The old weaver went off to feed her doves and she too was sad. 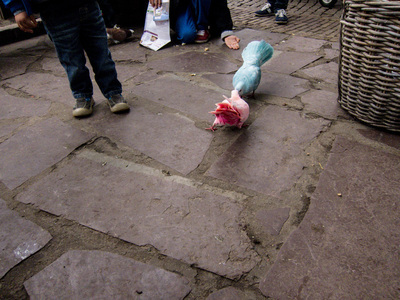 So sad, she cried. 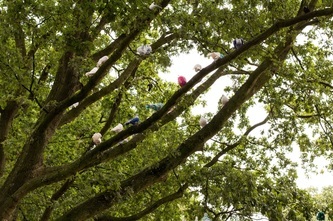 A wise owl had heard of the story and went to ask the birds: “You can tell the difference between the colours, can’t you? 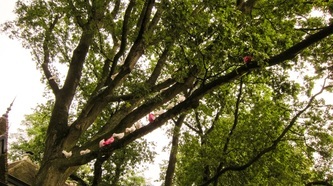 Shouldn’t we try and help the old weaver?” So the next day as the little old lady was sat at her loom, sad that she wouldn’t be able to make Guinevere’s gown, she said out loud with a sigh: “If only I knew which thread was green...” As she said it, she felt a tiny beak put a piece of thread between her fingers. 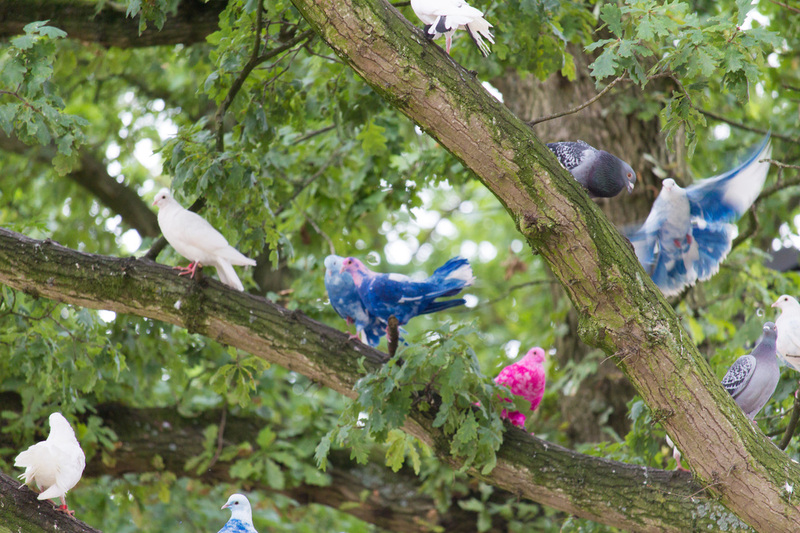 Together, the weaver and the birds worked hard to finish the gown, and the weaver was over the moon. 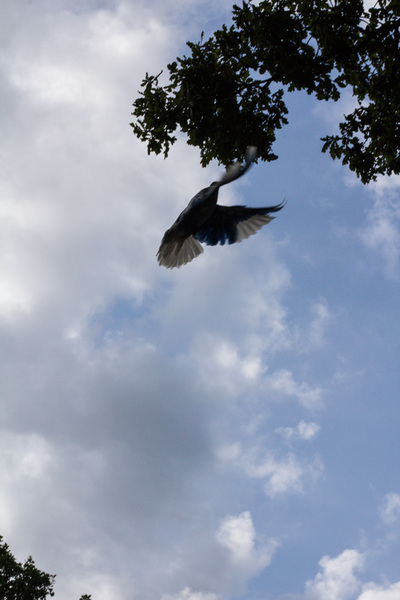 When they had finished, she sent for the prince. He was overjoyed: “My bride will be the most beautiful in all the land,” he exclaimed! 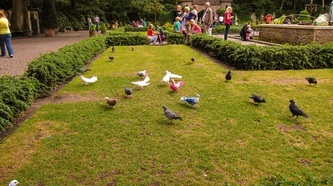 So what about the birds? 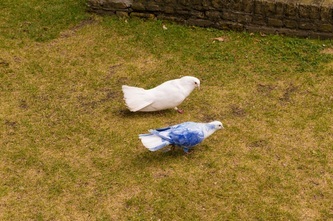 They were so busy finding the right colours that their feathers changed colour to match. You don’t believe us? 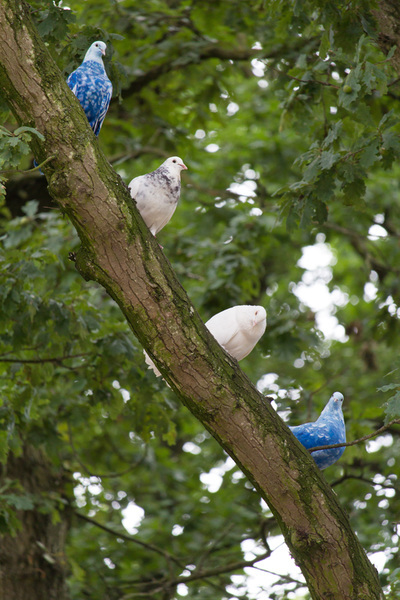 You’ll find them at the ´Herautenplein´ square.